Things are forgotten. More than 40% of gifts are returned. What remains are the memories, experiences. 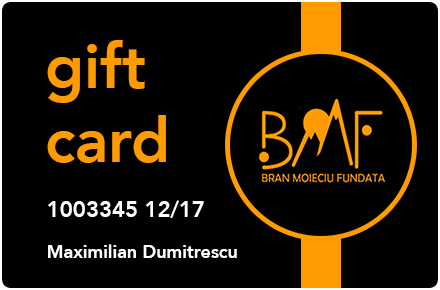 Have an original detail giving experiences in Bran-Moieciu-Fundata and make your gift unique and unforgettable. Each day of our life is a celebration! We are introducing our international and national holidays and we invite you to participate along with your loved ones. Our experts are updating on daily basis the list of offers and suggestions, so our advice is to check back here often, to not miss any opportunity for a good time.